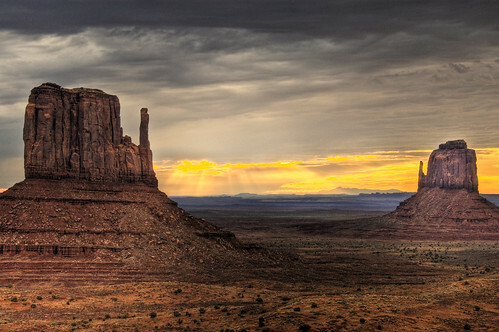 sunshine blog » The American Southwest – Sunniest Region on Earth? The American Southwest – Sunniest Region on Earth? One thing I was recently curious about was where the sunniest places on earth were; I know it’s something I’ve seen thrown about in press releases and tourism brochures, but I did some Googling and found out that the World Meteorological Organisation in Switzerland actually has done the research and can tell you which places on earth have the most sunshine each year. Yuma is in the southwest of the state of Arizona, not far from California and Mexico. Despite being a little more off the beaten path than, say, Vegas, there’s plenty to do. Camping is very popular, as well as golf or exploring the public parks in the area. Because it’s close to the border, you’ll get some very tasty Mexican food so come hungry. The largest city in the American Southwest, Phoenix offers a number of different types of experiences as you would expect from any city. It’s actually at a high elevation in the desert, which makes its weather situation very unique. There are the historic neighbourhood districts in midtown and many shopping areas. Don’t miss the desert botanical garden or the city’s own archaeological park. Also Phoenix is a popular starting point for trips to Sedona or Monument Valley. You’d be forgiven for not knowing how sunny Las Vegas really is – after all, the whole thing is engineered to get you as quickly as possible into an air conditioned gambling environment, cocktail in hand. But next time you hit Vegas, I suggest you block off one day as a pool day. Almost all the resorts have fabulous pool areas which can be a bit crowded, but the people watching is off the charts (don’t say I didn’t warn you), and it can be a good place to clear your head after a long night. Right behind Phoenix, Tucson is the second largest city in Arizona and the weather here, while still sunny, is a bit cooler. Tuscon has a lot of the great outdoors right on the edge of town – Sabino Canyon, Tohono Chul Park, and the city’s desert museum is very popular. Next time I’m in the area I’m hoping to get a tour of one of the observators that are located about an hour’s drive from town. Last but not least is the sixth-largest city in Texas, El Paso and is nicknamed the Sun City. It sits on the Mexican border, across from Ciudad Juarez. From El Paso you have access to many interesting natural landscapes, such as the Rio Grand valley, the Franklin Mountains, or the McKelligon Canyon. El Paso itself has some interesting attractions, including a small art museum and shopping areas. The city is next to one of the largest military bases in the world, Fort Bliss – sadly you can’t tour it, but that will explain the many military surplus stores in the area. If you’re curious, the other destinations that round out the top 10 include Egypt (x2), Sudan (x2), and Chad. And can you believe that on average, there is 6.5 hours of sunshine everywhere, each day? I’m not sure if that’s a lot, or not a lot.